Lax-A-Day® is an over-the-counter laxative product that helps you get relief and leave an uncomfortable experience behind you. 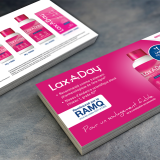 Lax-A-Day is one of many established lines of over-the-counter products offered by PENDOPHARM, a division of Pharmascience Inc.
Phenix works with Pendopharm in the creation of a multitude of print pieces from product detail aids, in-store product displays, ads and much more. 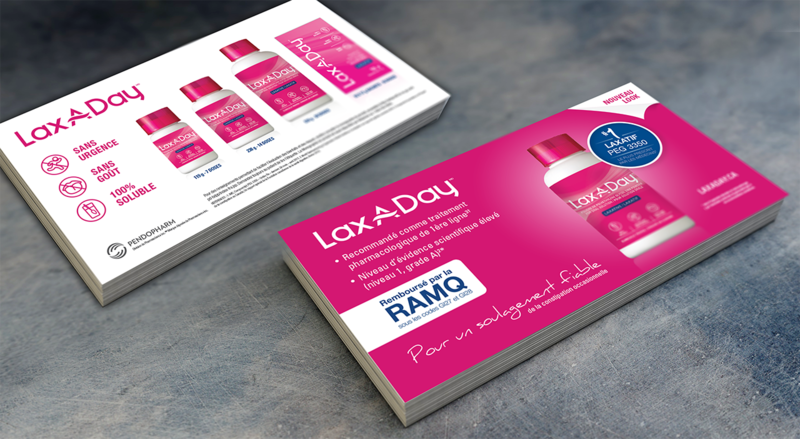 Lax-A-Day is just one of many brands that we are currently working on for Pendopharm, other brands include: Helixia, Pediatric Electrolyte, Hemovel, Nasacort, Rhinaris and Olex.